We all know the use of contactless payments is soaring across the UK day by day – but you might be surprised to learn that London is not the contactless capital. In sheer volume of transactions it is, with 93million in 2018 – but it is Bristol where the highest proportion of card payments are swiped, with 73 per cent of 11.5million card transactions in the West Country city using contactless. That’s according to payment services provider Paymentsense, which crunched data from 300million card transactions last year. Contactless in Britain is an increasingly everyday way to pay – but where is it the most popular? London isn’t even in second place, despite contactless cards being accepted on public transport and the capital’s reputation for being at the centre of the newest financial trends. Instead the silver medal goes to Hull, not somewhere traditionally associated with financial innovation. Some 72.84 per cent of card payments on Humberside were made using contactless, compared to 72.48 per cent in London. Unsurprisingly, the number of payments processed in London to come up with these percentages dwarfed the number made in Hull. Paymentsense said it processed more than 93.2million card payments last year in the capital, compared to a little over 7million in the 2017 City of Culture. In 2016, someone in Britain reaching for their wallet was likelier to pull out cash than plastic, but it 2017 that changed – it was the first year card payments overtook cash. Undoubtedly a big driving force behind that was contactless. Nearly two-thirds (63 per cent) of Britons now use the payment method, and 5.6billion payments last year were made using it – a 97 per cent increase on 2017. 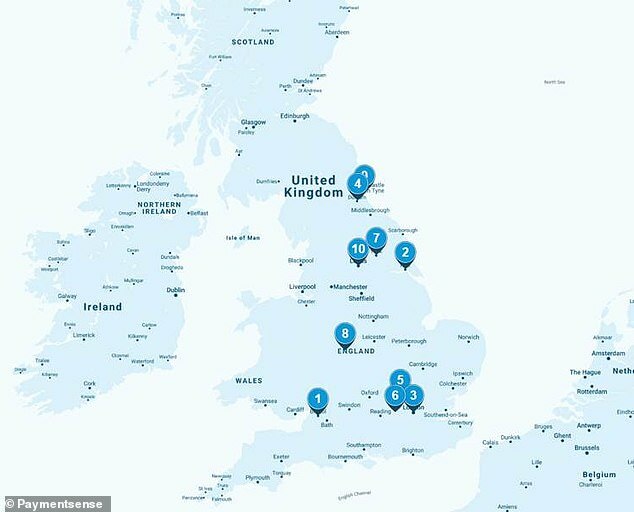 As you would expect the top 10 is principally comprised of cities with Birmingham, Durham, Leeds, Sunderland and York all featuring – though Manchester is perhaps a notable omission. Durham comes a surprising fourth, with 71.64 per cent of the cathedral city’s 1.75million card transactions made using contactless, although that could be explained by the city’s substantial student population. Rounding out the top 10 are the Hertfordshire town of Hemel Hempstead and the Berkshire town of Slough, who come in at five and six, respectively. Of the 3.3million transactions processed by Paymentsense in Hemel Hempstead in 2018, 70.48 per cent were paid through customers tapping their plastic. Meanwhile in Slough, 70.17 per cent of 2.92million card payments were contactless. When it comes to the actual cards used, London did top the table for contactless debit card payments, while Bristol was in first place when it came to contactless transactions on credit cards. Some 77.16 per cent of debit card payments in London last year were made using contactless, while those in Bristol tapped their credit cards 54.79 per cent of the time. Bristol was second for debit contactless, while London came fifth for the percentage of credit card payments made with contactless. 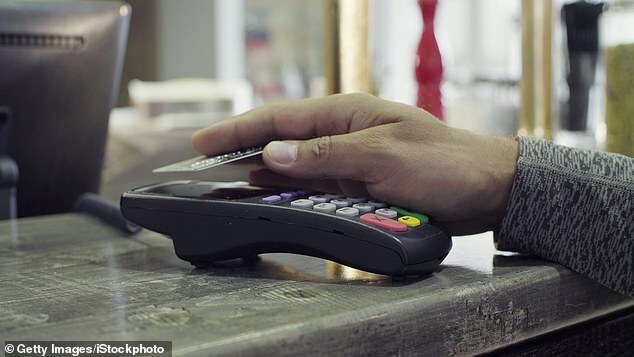 The other three places in the top five when it came to the percentage of credit card payments made with contactless were Birmingham, 54.5 per cent, Hull, 54.11 per cent, and the Shropshire town of Telford, where those using a credit card tapped it 52.74 per cent of the time.